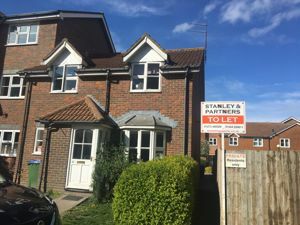 Stanley & Partners are delighted to offer this light and spacious one bedroom flat located in the heart of the picturesque Village of Barcombe situated 4/5 miles from the County Town of Lewes in East Sussex. The flat is situated above the local Village Shop and has its own private entrance to the side.The accommodation comprises; open plan kitchen/ living room with laminate wood flooring and with space for a small breakfast/dining table, family bathroom with separate shower cubicle, a good size double bedroom with further second room which could be used as a study, PRIVATE ENTRANCE. Barcombe is a thriving village which has a well-supported school and two village shops and Pub. It is served by bus services to Lewes and other villages. Adjacent Barcombe Mills is a popular fishing spot and the mills, which gave Barcombe Mills its name, dates from at least Roman times. Cooksbridge train station is within 2 miles, with its direct links up to London.PARKING is available on street or in the adjacent car park.Viewing HIGHLY recommended. Horsfield Road, Lewes £850 p.c.m. 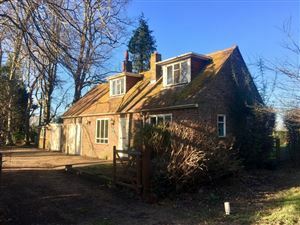 Neville Cottage - Ditchling £950 p.c.m. Stanley and partners are pleased to offer this spacious ground floor garden flat, located within a short walk to the picturesque village of Ditchling, with stunning views of open country side and the south downs. The property consists ;own private entrance, hall with storage, lounge with feature fireplace, kitchen breakfast room with some appliances, two double bedrooms one with fitted cupboards, Modern shower room. The property also benefits from front and rear garden with shed. Double Glazing throughout, Gas central heating. The property will have some decoration and re carpeting once the current tenant has vacated. Court Road, Lewes £950 p.c.m. 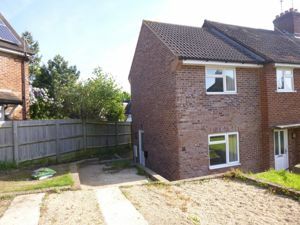 Half Mile Drove, Ringmer £975 p.c.m. High Street, Lewes £1,050 p.c.m. Stanley & Partners are delighted to offer this charming two bedroom period cottage split over three floors with private courtyard garden.The property is situated in a sought after central location which has easy access to the town centre and train station.The property offers two reception rooms, Galley style kitchen, on the first floor it has the Master bedroom, family Bathroom and Large hallway with space for a desk, the second floor has a second double bedroom.The property offers a wealth of character and has the charm of Lewes Quirkiness.The property is available from the 23/04/19 and is offered unfurnished.Call us now on 01273 480529 to arrange a viewing, as this won`t hang around long. The Street, Rodmell £1,075 p.c.m. 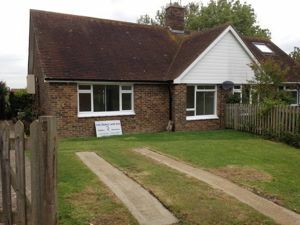 Stanley & Partners are Delighted to offer a two bedroom bungalow in the sought after village of Rodmell. The property benefits from two double bedrooms, Kitchen, Bathroom and Living room. The rear garden benefits from a timber shed and offers uninterrupted far reaching views over open countryside of the South Downs National Park.The village offers an excellent pub and lots of country walks. Lovely modern 2 double bedroom house located in the sought after village of Hassocks comprises of a modern kitchen, down stairs wc, living room, two double bedrooms both ensuite, garden, garage and driveway. Gas CH. Pets considered. 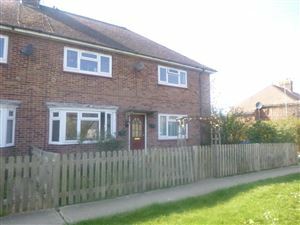 **AVAILABLE NOW** Viewing Recommended** Modern 3 bedroom house available in popular residential area of Burgess Hilll. Entrance hall, WC. Light and airy lounge, dining area and sliding door to the part brick consevatory and rear garden with access to the garage. Fitted kitchen with appliances. Upstairs to modern part tiled bathroom with white suite bath/shower. Two double bedrooms both with built in wardrobes. Further single or ideal office. This property also benefits from Gas Central Heating, Double Glazing, Garage and two parking spaces. Available unfurnished. Pets Allowed. A very well presented 4 bedroom town house spanning three floors. The property is situated within a moments` walk of two schools and a local parade of shops. The accommodation includes an entrance hall, cloakroom, well fitted kitchen, The living room has a feature fireplace with double doors opening onto the conservatory. The garage has been converted into a second reception room. On the first floor there are three bedrooms and a family bathroom. Spacious master bedroom with en-suite and built in wardrobes. On the 3rd floor large 4th bedroom. Front and rear gardens. Private Driveway.